We are a top notch supplier of Cummins Cylinder Heads. Cummins Genuine Cylinder Head for VTA 28. Brand: CUMMINS / CATERPILLAR / KOMATSU / VOLVO / HITACHI ETC. Banking on our enriched industry experience, we are able to supply Cummins Cylinder Heads. We offer an extensive range of high quality Cylinder Head which are used for vacuum impregnation. Our precision engineered product range finds its usage in Automobile and allied industries. We are considered a well-known name in the market that manufactures, and Supplier Generator Cummins Cylinder Head. Manufactured in compliance with the set industry guidelines, these ruggedly constructed heads are extremely durable and easy to install. Our reputed entity is engaged in supplying Cummins Cylinder Heads. We are engaged in offering Cummins Cylinder Heads Volume. We are amongst the most reputed names in the industry, offering Cummins Cylinder Heads. We are amongst the most reputed names in the industry, offering Generator Cummins Cylinder Head. 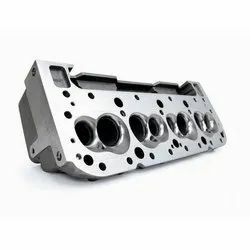 Our company has been successful in winning appreciation from the clients as one of the most prominent names in the trading of Cummins Cylinder Heads. 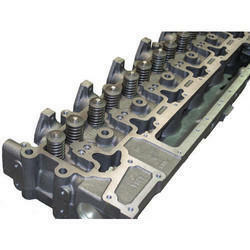 In order to meet excellent quality standards, we are supplying Cummins Cylinder Heads.